At Porsche Bend, we are proud to bring you the most incredible, high-quality, and luxurious Porsche models on the market and in the Pacific Northwest. It is our honor to help you actualize your dream of owning a new Porsche car, whether this is your first time or your next time. We are a family owned and operated business that thrives on our core values of unparalleled customer service and community outreach while selling and servicing the finest automobiles ever built. You are not only our priority, you are the heart of what we do here at Kendall. Thank you for visiting our site and allowing us to participate in providing you with the very best life has to offer on four wheels. When you’re ready to fall in love with Porsche, or perhaps fall deeper in love, come visit our Porsche Bend showroom. Our Porsche dealership is conveniently located at 1055 SE 3rd St in Bend, OR 97702. We are only a short drive away from the surrounding communities of Eugene, Medford, Redmond, and Prineville. While you’re here, allow us to take you for a test drive in a new Porsche 911, Porsche Macan, or Porsche Cayenne. From the iconic race car quality of the Porsche 911 Carrera to the spacious and versatile Porsche Macan and Porsche Cayenne, you’re going to have a difficult time choosing a favorite. 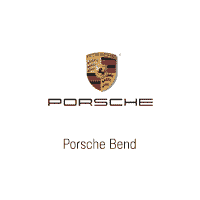 Porsche Bend understands that not everyone is in the market for a new Porsche. That’s why you will not only find new Porsche cars at our dealership, but a variety of pre-owned cars as well. Our inventory of Porsche used cars provides our customers looking to make an automotive purchase with many options. Furthermore, we have an inventory of Certified Pre-Owned Porsche cars in our selection of used cars. To ensure top quality, our Certified vehicles have gone through several tests and multiple-point inspections. Shop our used car inventory, then call or contact us online if you have any questions. If you want to experience a pleasurable car buying experience for all aspects, you should visit Kendall Porsche. Loved purchasing a vehicle here. My daughter bought her car from Kendall Porche of Bend. Trevor Campbell was the salesman that helped us. He was amazing, informative, and not pushy. We had been searching for a car for a few weeks. We discovered we didn't like big dealerships because they were pushy and tried to trap you, but we found a car we were really interested in at Kendall so we went in. Best move ever! We got a great deal on a nice car, negotiations were quick and fair. Kendall had a great 12 month warranty included in the purchase and we walked away smiling. I will definately consider buying another car from these guys when I'm in the market!